This Voodoo Vixen addition is definitely causing a bit of a buzz. 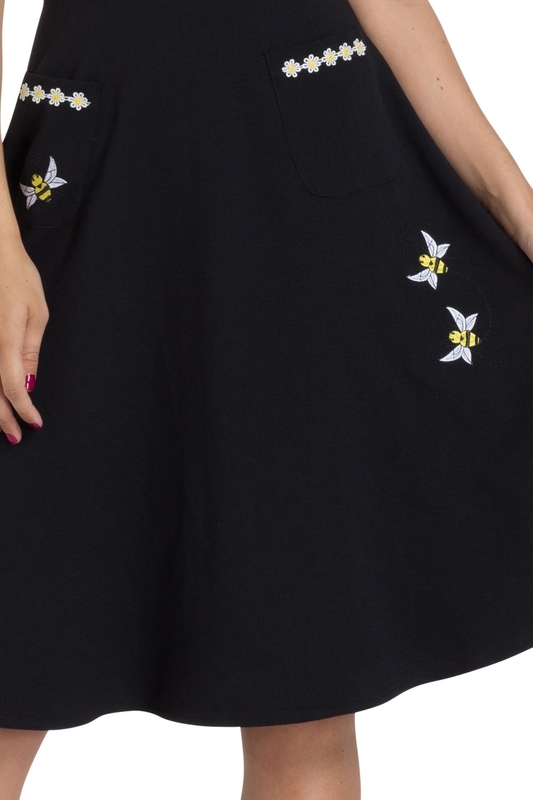 Fluttering it’s way into your wardrobe is our beautiful Bee Black Flared Dress! Complete with gorgeously delicate pleating and wonderfully subtle embroidery, it’s definitely the spring ready piece that’s about to fly off shelves. Love the look? Check out our Brittany Bee Playsuit and see what all the buzz is about!